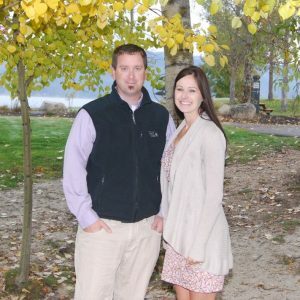 Haden Tanner moved to McCall, Idaho from Sun Valley, Idaho in 2004 where growing up in a resort community helps him truly understand McCall’s market and knowing the resort real estate cycles. Haden graduated from Boise State University with a degree in History and Secondary Education. After receiving his degree Haden made the choice to move to McCall instead of back home to Sun Valley. This change was brought around because he saw the future in McCall and wanted to be a part of it. Haden has spent a handful of years as the director of sales for a multi-million dollar riverfront development located in McCall. Recently Haden has taken on an additional sales director role for Greystone Village, McCall. Greystone Village is a luxury townhome development located in the heart of McCall, Idaho and only steps away from Payette Lake. Haden is currently representing both buyers and sellers in the greater Valley County area, helping them buy and sell real estate. As one of McCall’s top producing agents year after year it’s no wonder both Buyers and Sellers are quick to call Haden for all of their real estate needs. Haden is also one of a few in the state of Idaho and the Nation who has been awarded the Resort and Second-Home Property Specialist (RSPS) designation as well as the ePro designation. 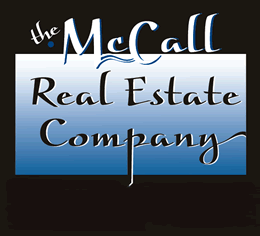 He obtained his broker’s license in 2009 and is now an Associate Broker within The McCall Real Estate firm. Haden served on the Board of Directors for the Mountain Central Association of Realtors from 2011 to 2014. To expand his knowledge, horizons, and sales options to his clients Haden has teamed up with The Accelerated Marketing Group INC, which is a national auction company, located out of New Port Beach, CA. Their clients include U.S Bank, the Small Business Administration, Bank of The West, developers looking to move inventory, sellers in need of debtor/creditor workouts or just an alternative to the traditional sales strategy. Having spent some time in Virginia, Colorado, California, Arizona, New Mexico and Idaho with the auction company the experience and knowledge gained has been invaluable. In Haden’s spare time he loves to enjoy his family, which consists of a beautiful wife, Kaila, a beautiful daughter, Rylee and an amazing son, Ryder. Haden enjoys being active, mountain biking, hiking, fishing, camping, snowboarding, snowmobiling, cross-country skiing, snowshoeing, white water rafting, swimming, boating, surfing, wakeboarding, flying, playing and coaching youth hockey, and spending time with family and friends. Haden comes from a family with diverse Real Estate backgrounds with family being in development, construction, sales, title and escrow; he truly understands all aspects of real estate with a focus on Resort Property.